To some, the term “trash the dress” may sound scary or even a little crazy! But basically a trash the dress session with me can be as crazy as you want it to be. Basically, you don’t have to literally “trash your wedding dress”, it might be just a photo session where you can be slightly more daring then you could be on your wedding day. It gives you a chance to do some photos which might get your dress just a little dirty right through to soaking wet. It’s completely up to you, on how far you go! Some people say that it can act as a de-stressor after being a bride , others look at it as just great fun and a chance to get some really artistic and different photographs. Don’t worry, if you are a little bit timid, and don’t want to go “all the way” contact me and I’ll talk to you about how great dry cleaners can be! 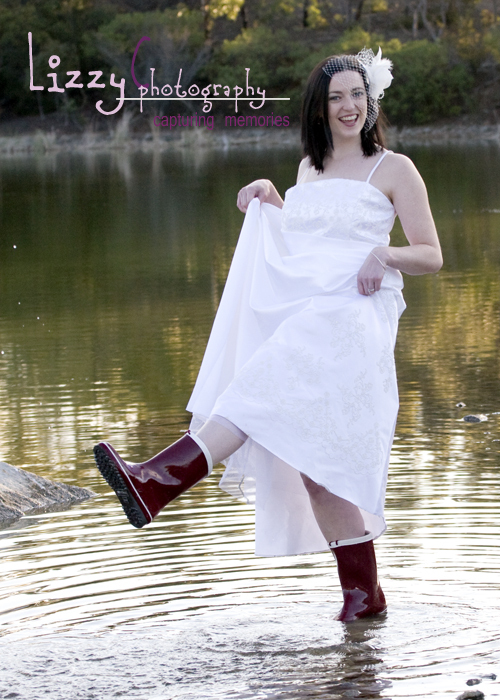 We can arrange trash the dress photo sessions with just the bride or the bride and groom.